An integral part in the maintenance of a septic system is periodic inspection of the components. 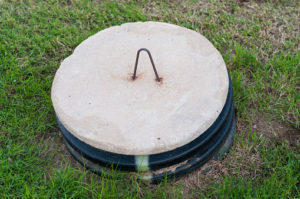 Even the simplest septic system, no matter how mechanically complicated, can benefit with an extended life through regular inspection and maintenance. Every day your septic system may give you signs that there is a problem. Knowing what to look for can help you prevent a system from failing and save you time and money. Find the records on your systems installation, know where the septic tank lids are and where the leach field is. Take note of any unusual surface moisture in the area of the leachfield. Be aware of sewage backing up into the house or slow draining drains. These are indicators that something might be wrong with the leach field. Prepare for the professional inspection by uncovering the tank lids, locating receipts for septic system maintenance, and having a copy of the Public Health file handy. It will take the guesswork out of the inspector’s effort and save them time and you money. Evaluation of the condition of the tank and tank components, including checking the integrity of the concrete, measuring the sludge and scum layers, and evaluating any pump and electrical components. Evaluation of the size and general operation of the leach field by running an operation test and monitoring its ability to continue handling the prescribed volumes of waste. The Boulder County property transfer regulation requires that all homes have an adequately operating and approved septic system at the time of sale or purchase of a home.